A grant is offered jointly by the Freedom Broadcasting Foundation and the Vera and Donald Blinken Open Society Archives at Central European University, to fund the hiring of a research assistant to conduct distant research in the Hoover Institution Archives RFE/RL, inc. Collections. This grant, offered jointly by the Freedom Broadcasting Foundation (formerly the RFE/RL Fund) and the Open Society Archives at Central European University, covers a total of 108 distant research hours in the Hoover Institution on a competitive basis to support scholars who wish to conduct research in the Radio Free Europe/Radio Liberty holdings of the Hoover Institution Archives, Stanford University, and whose current research projects are relevant to these holdings. The grant is designed to provide access to the holdings of Hoover Archives for European-based scholars, artists, and journalists, and covers the cost of research assistance at the rate of $23 per hour. A list of available research assistants may be obtained by e-mailing hoover-library-archives@stanford.edu . Research assistants are not employees of the Hoover Archives. Researchers must make their own arrangements with research assistants, including negotiating the fee. 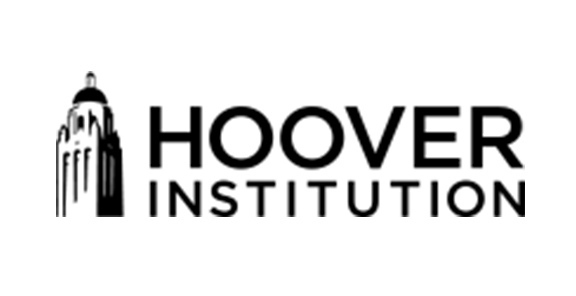 Applications for a reasonable number of hours of archival research are expected from researchers, graduate students (after their first degree) carrying out research, or artists, journalists, academics, or others who have already started a project that is relevant for the RFE/RL related holdings of the Hoover Archives. Grantees of the Visegrad Scholarship at OSA may receive preference over other applicants. Application letter in English (should specify the nature of the documents, including collection ID and box numbers) and the number of hours to be researched at the Hoover Archives). Specific questions the Hoover research archivist should attempt to answer in reviewing the specified Hoover documents for the applicant. Names of two referees with contact address. The Application package should be sent by email to Katalin Gádoros at the Open Society Archives, Central European University. (gadoros@ceu.hu). There are no deadlines in the grant program. Applications are considered as they are received by the Selection Committee, which normally meets four times a year. Final notification is usually within a month of the date of submission. The grants administration is carried out by the OSA Grants Administrators. The Grant scheme opened on February 1, 2011 and the call is posted on the OSA website as long as the program continues. Applications are sent to OSA via e-mail, checked for formal critera (application letter, research proposal, CV and names of 2 referees), then receipt of arrival is sent back to the applicant via e-mail. After a decision is reached and approved, the proposals with the names of successful candidates are posted on the OSA website and the Grants Administrators will contact each successful candidate via e-mail. Grants are paid to the successful candidate against a signed grant letter. The candidate is responsible for contacting a research assistant using the list sent by Sarah Patton, Public Services Archivist at Hoover Institution Library & Archives. Obtaining copyright permissions is the responsibility of the researcher. Permission to publish from the RFE/RL, inc. Corporate Records and RFE/RL, inc. Broadcast Records collections may be requested from Ben Herman, RFE/RL associate counsel in Washington. E-mail: HermanB@rferl.org. telephone: (202) 457-6913; fax: (202) 457-6913; postal address:  RFE/RL, Inc., Suite 200, 1201 Connecticut Avenue, NW, Washington, DC 20036. Hoover Institution Archives requires that correct citations be made to materials in the Archives' collections. Our preferred citation format is RFE/RL, inc. Broadcast Records, box #, folder #, Hoover Institution Archives (or, RFE/RL, inc. Corporate Records, box #, folder #, Hoover Institution Archives).